IS THIS PEEL FOR ME? 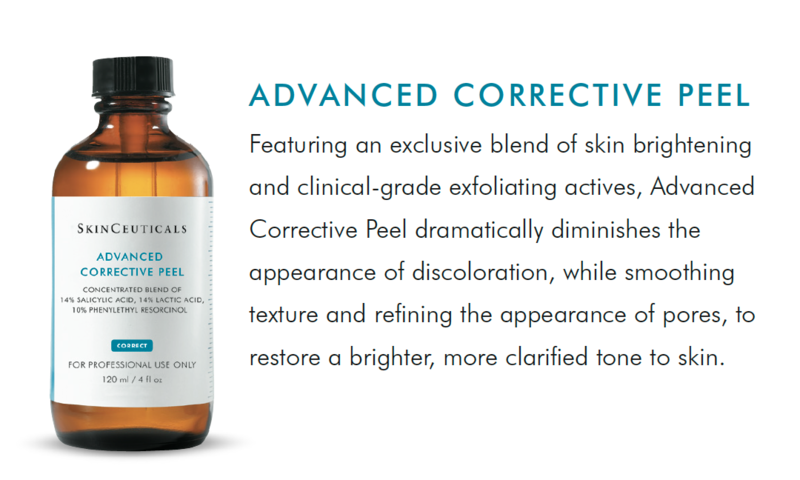 SkinCeuticals Advanced Corrective Peel is ideal for people with all skin types concerned with mild to moderate signs of aging, stubborn discoloration, and uneven tone and texture. 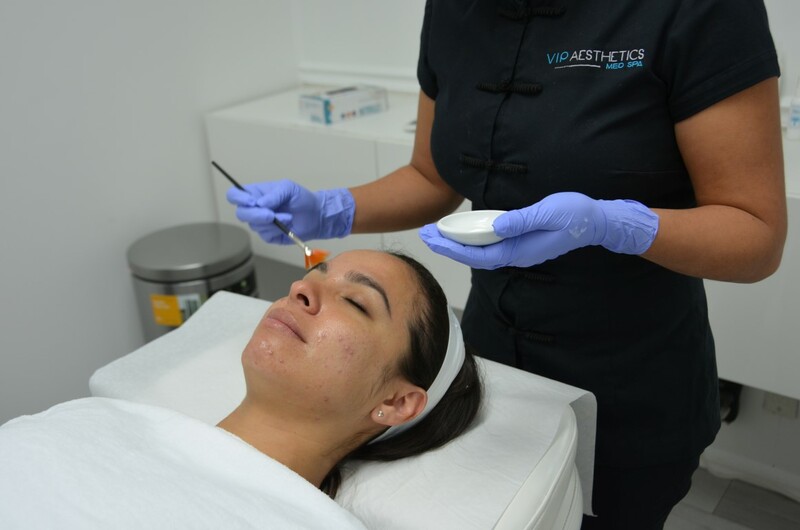 Advanced Corrective Peel effectively targets discoloration, renewing skin’s surface for an overall brighter, more clarified, even skin tone and texture. Immediately following the peel, skin may appear red and feel sensitive. 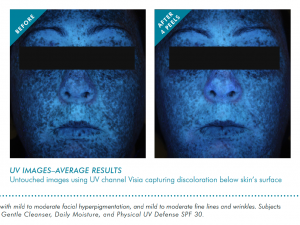 In the days following the peel, skin may experience some flaking, sheet peeling, and possibly a temporary darkening of surface pigment that will flake off. Once skin has finished exfoliating, it will appear radiant and smooth, with an improvement in overall clarity and even skin tone. 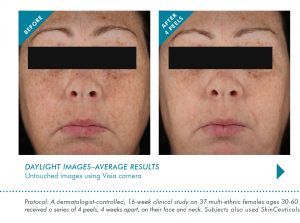 The degree of peeling and surface pigment darkening will vary based on skin type and skin condition and should not be a factor in determining success of the peel. Factors that can affect variations include: first time peeling, frequency of peels, frequent use of retinoids, frequent use of at-home chemical exfoliants, and resistant skin types. Light flaking or sheet peeling may occur, and can last for 2-6 days depending on the intensity of the treatment. Discuss with your skincare professional in advance to optimize your expected outcome. SkinCeuticals Advanced Corrective Peel is designed for maximum customization to fit individualized skin needs, and to evolve over time as your treatments and skin concerns change. For optimum results, a series of 4-6 treatments every 4 weeks is recommended. Complement peels with a SkinCeuticals homecare regimen to help reduce downtown and enhance long-term results.